Let’s talk about control. There’s dictatorial control which is the approach most of us take first. This is control that’s tight gripping, nit-picking and effort exerting. This is the helicopter parent, or the micro managing boss who makes sure everything happens the exact way they want it to, demanding compliance. When anything begins to go wrong, they shout orders, control and censor. Then there’s impartial control which is less about holding tight and more about letting go and surrendering. The Hanged Man speaks to that kind of control. Traditionally considered one of the “scary” Tarot cards, The Hanged Man isn’t so much about being hanged in the traditional sense, but rather he tells a story about the power of resting, taking time to still your mind, putting self interest aside and taking a different approach to getting your needs met. When we’re hustling to gain a sense of control, it means we actually feel out of control, we feel weak and incapable and so we overdo it. We use a blow torch to toast a piece of bread instead of just using the toaster. Controlling from that grasping place is done with false strength; and it’s precarious because the success depends on your effort, and if you get tired, it all goes out the window. When we’re able to step back and let things develop as they will, taking into account that divine order is a real thing and that there’s a beauty in accepting what is, we control from a place of real strength. A good leader isn’t domineering, but rather healthy and powerful. 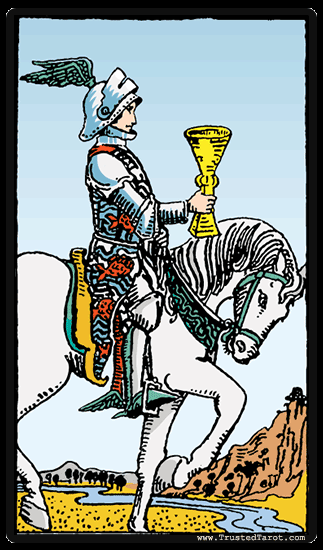 The way he or she becomes healthy and powerful, is by calling in support, delegating, taking stock of a situation in order to get clarity. So this week, if you’re trying to exert your will over someone, it’s a good time to relax your grip. If you’re struggling to communicate how you feel and it isn’t working, stop laboring and start listening. Give up the sense of urgency and see if you can find a different angle from which to approach the problem. 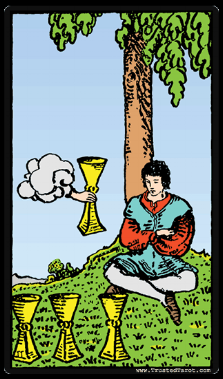 The paradox of the Hanged Man is that you get what you want, but you have to make untraditional moves to do so.